Each time I sit down to write it gives me anxiety. The whole point of The Hourglass Project was to help me find balance – and this site was a personal retreat to help me in my journey and share my experiences with others. But, when I see that the last time I wrote was in February, nearly 6 months ago, the anxiety creeps in. Part of the emotion is tied to the feeling of letting myself down. I had gotten into a good rhythm of writing more regularly after having retreated from writing for a while, and I felt good about my site and the process of writing. That said, when chaos strikes I tend to pull back and disengage with social media and as a result I neglected my site. This makes me sad, because this site is an outlet for me – a way to express myself – and to hopefully help others on the way. But, the perfectionist in me tends to watch the days and weeks pass and almost feels a sense of defeat and rather than hunkering down and getting back to work, I wave the white flag of surrender and let the wave of introversion sweep over me. Another part of the emotion is that sitting down to write also brings me right back to where I left off, in February, when my life seemed to take a nose dive and the feelings that come up can be overwhelming. 2018 had already started off on a sad note as shortly into the new year I received a phone call from a dear friend letting me know that one of our mutual friends had unexpectedly passed away. This was an individual who was like a big brother to me throughout my early adulthood, and although we were not in touch on a regular basis, we popped in and out of each others lives throughout the years and always remained friends. Within a matter of weeks, I learned, along with the rest of the world, that an active shooter had entered my old high school and killed 17 individuals, students & staff, including one of my old classmates. This was the last thing I wrote about. 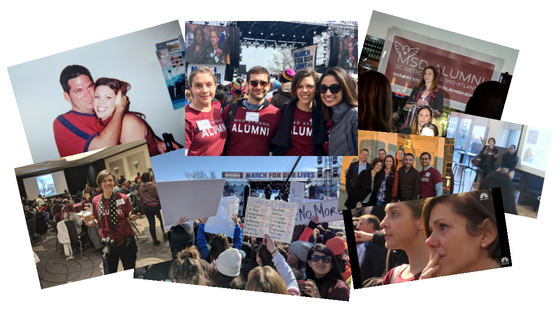 I dove head first into helping out with fundraising and coordinating alumni events around the nationwide marches for March For Our Lives. I was working close to 20 hour days for a while simply because I couldn’t sleep due to the immense sadness and trauma I felt. As an alumni, almost 20 years removed, I never in a million years would have anticipated having this kind of reaction, but once I became involved with the local DC area alumni, I knew I wasn’t alone. I worked on designing logos, digital guidebooks for the march, planning fundraisers and MFOL rally points. It became a full time job. In addition to my desire for safer gun policies and safer schools for our children, one of the reason I became so fully vested in these efforts was to ward off the incredible devastation I felt – because within a week or so of the shooting, both of my dogs passed away. My 15 year old golden retriever, Saydi, passed first, only 5 days after the massacre. It was the most horrible, gut wrenching pain I’ve ever experienced. It may sound silly to those who don’t have animals that they feel connected to, but for the last 15 years she had been my baby and I loved her dearly. Upon returning home from the vets without Saydi, we heard a cry coming from down our hallway. 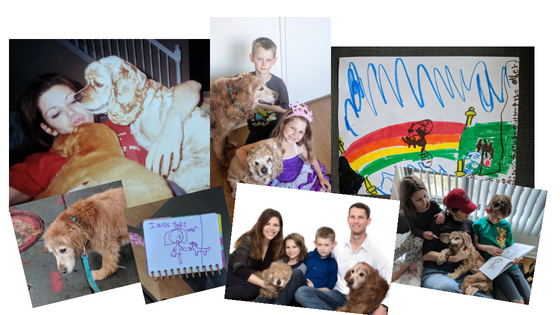 It was Kayla, my 17 year old cocker spaniel, laying in the last spot where Saydi had been – crying. My heart shattered. For the next few days Kayla would not eat. She became weaker and weaker and her bones began to protrude. I knew we didn’t have long with her, but I did everything in my power to keep her alive and comforted. I slept on the couch with her on my chest each night, and tried various gourmet meals in order to get a few nibbles down. Five days after Saydi left us, Kayla gave up and joined her sister. If that wasn’t enough, we experienced the loss of two more lives in the months following. One being my brother in law’s mother, who was more like an extension of our family and another my friend’s father. 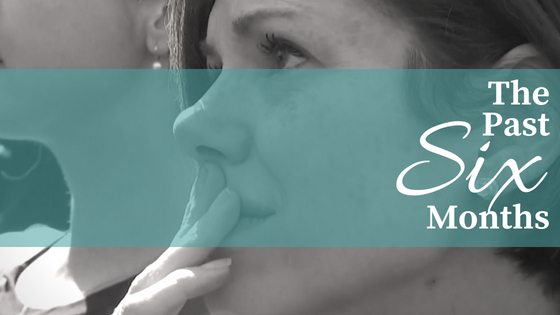 Witnessing the pain that my sister and brother in law were going through was agonizing. I flew home to be with them and to help with the memorial, but the time with them was limited and there is only so much a person can do living out of state. By the time my friend’s dad died, I think I was completely numb and it saddens me to say that I wasn’t a good support for her. I just can’t imagine losing a parent. The most impactful loss I have experienced in my life is the loss of my dogs because they were a part of my daily life for 15 and 17 years. Even writing this today, almost six months later, I have tears pouring down my face and I have to take several breaks in order to compose myself enough to keep writing. The visceral pain is so strong. There is not a day that goes by that I don’t miss or think of them. And the pain deepens each time I think about those who lost their children or loved ones in the shooting, my brother in law’s family, my friend’s wife and daughter, and the families of the four loved ones I lost in the past two years to cancer or illness. These are my dogs who lived very full lives and even outlived their life expectancies. I cannot even imagine the pain that is felt for those who lost their loved ones prematurely. This is why I haven’t written in sixth months. This is why I have been unable to engage in a meaningful way on social media. Because it hurts. But I know I can’t live under a rock forever and that writing is cathartic, so I am ripping off the bandaid and writing today. Today things seem to be turning a corner and life seems to be on an upswing. 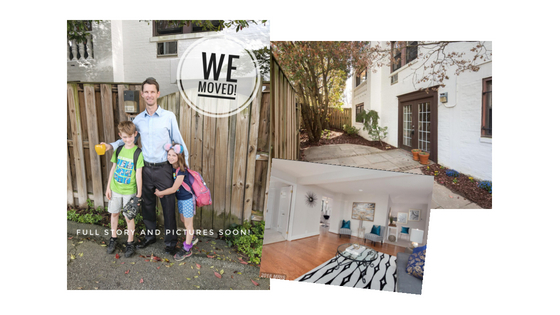 We bought a condo in DC (more to come in my next entry) and spent a fantastic summer visiting friends and family. Although we are still facing daily challenges – we have also embraced a lot of great opportunities and are trying to live life to the fullest. Although this was hard to write – I am glad I did. And I am glad to be back. Thank you Jennifer! Truly appreciate your comments! 🙂 xo Cheers to you too!